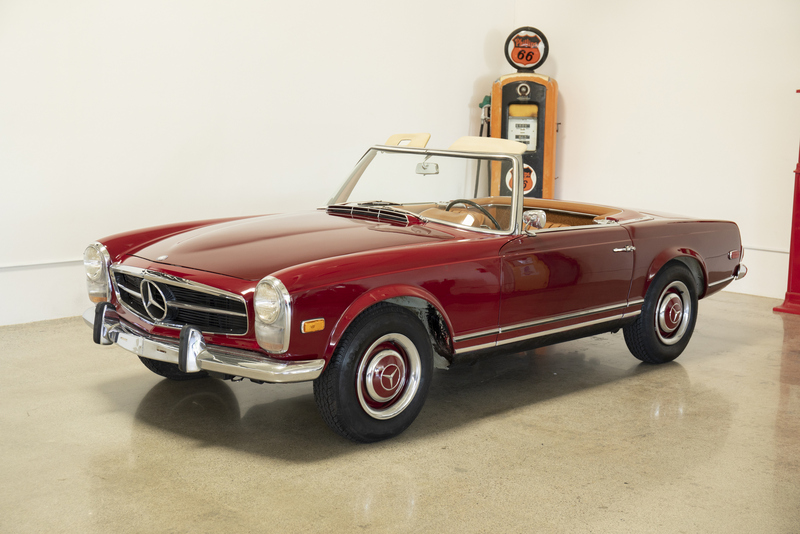 1963 Mercedes 230sl Pagoda Roadster: Always garaged; numbers-matching engine and transmission; original fenders; original factory floor/trunk metal; excellent body gaps. Nice presentable driver with superb bones. Very few 230sl models have metal this solid and original. We go to extents to document our cars in pictures and provide the most transparent listings on Ebay. Please study the pictures carefully rather than requesting descriptions. Please complete any inspections or ask any questions prior to bidding or committing to buy the car. Thanks for the interest!